I found healing energy and used it to heal myself. This article talks about what I found during my search for answers. I may not know what healing energy is or for that matter what energy really is, but I do know what fatigue is. I had years of first hand experience with fatigue, loss of energy, premature aging and/or burnout. It is the slow loss of life force and energy. The fatigue is overpowering with the loss of ability and function. The ebbing away of control, mind and body, energy and power. In other words the slow loss of ability, ambition, desire, dreaming, drive, enjoyment, feeling, function, happiness, clear sharp thinking and vitality. I seemed to be in a constant brain fog without being able to feel anything not even pain. I just overwhelmed and tired — bone tired. As the years passed I slowly got sicker and my energy just simply disappeared. I was frustrated, depressed and unhappy because I didn’t seem to have enough energy to even hold my head up I was always leaning on everything. Sleep what I could get, didn’t help at all. Deep restful sleep never came. What is Healing Energy? What is energy? I may not know exactly how to explain healing energy, but I do know how it feels. I experienced my own healing energy. I watch it happen right in front of my eyes. I started on my road of rediscovering nutrition by eating fresh food as raw as I could tolerate. I could feel my energy slowly returning. I could feel it surging and flowing inside me. With each day passed I seemed to feel a little stronger and think a little clearer. I healed myself using natural food, and natural and manual procedures. I discovered the methods of the ancients and I found my body came equipped with its own healing energy. What comes to your mind when you hear the word healing? – Modern Medicine and a doctor? – A ancient spiritual healer or Medicine Man? – Or Nutrition represented by a plate of fresh vegetables just picked from the back yard garden? Or have we as a society simply forgotten what the word healing means. Maybe we have been so dumbed down we don’t think healing is even possible. One answer I found is “To make healthy, whole, or sound; restore to health; free from ailment.” To regain balance. I have found that healing is not done by modern medicine, a spiritual healer (Medicine Man), your brain or even from that plate of fresh food although that is a start. If you break a bone a doctor helps set the bone and put it into proper alignment, but does he actually heal the break? Do the pills he gives you make the bone knit and heal? Or if you cut your hand, it will heal by itself after being closed by the doctor if necessary, unless you keep reopening it or expose it to dirt? It is the same thing when it comes to a life-threatening disease! If we want to heal from a disease such as cancer, or a simple paper cut it is only the body that has the power to heal. 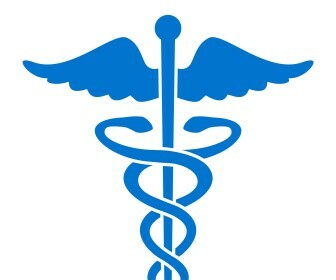 All a doctor or healer can do is either help or hinder the body in it’s healing attempt. It may just be my experience but when has big pharma healed anything? All of the prescriptions I was given for chronic conditions like hypertension or hypothyroid came with the understanding I would have to take them for the rest of my life, once the condition would be controlled. As the years passed the condition did become less critical and somewhat controlled but I didn’t get any better in fact I just seemed to get worse but the dosage just kept increasing. I started at something like 10mg and ended with over 1,500 mg of the same drug. I also had two or more medications for the condition where I use to have only one. Modern Medicine will help you manage your medical condition and make suggestions for improvement which normally only includes suggested medications and drugs. They also make sure people are fully medicated to prevent future illness. Such as taking a baby aspirin 81 mg in case you have a heart attack. Preventive medicine they call it. The best help should be how to change what your doing to get so run down. Life style, nutrition, and toxins don’t seem to even be discussed when treating a disease or condition. Taking the medicine seems to be the only option. 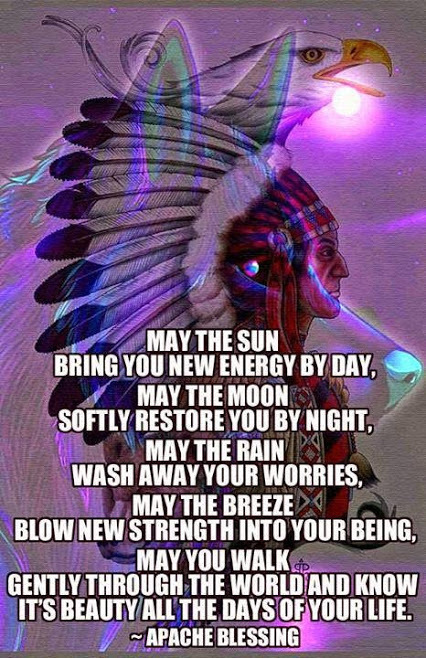 It isn’t Spiritual Healers or the Medicine Man of the past. We came from a tradition of ancient healing arts. There are people who call themselves “healers” for they do have a reputation of healing. They represent ancient believe systems, philosophies, and or religions. There are many ancient religions that included healers like Traditional Chinese Medicine or Ayurvedic Indian medicine. There is even a homeopathic Energy Healing art. But they too like the medical doctor don’t actually heal. 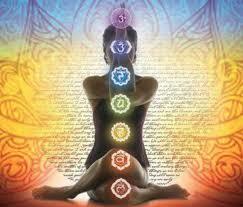 (in Indian thought and Yoga education) There are 7 Chakras centers of spiritual power in the human body. Will illness just go away if you make up your mind not to pay attention to the symptoms? Your mind is not in control the your Autonomic nervous system your body is. Wishing the symptoms away will not work? My experience has found, the mind didn’t have much to do with control of the body. If I relied on the brain, I would still be smoking cigarettes. I found I had to control the mind to break the sugar habit. It seems my mind loves to be addicted to being high. In order to regain my health I found It is more like body over mind or energy over body. I do need my brain to function but it is easily brainwashed. It wants to believe the latest propaganda and sales pitch. My mind does not control my body. My brain is controlled by peptides and endorphins and they were being saturated with pleasure and a sugar high while my power and life-force was slowly ebbing away. I had to learn to listen to the body to recover my health. The story of food is the story of energy from the sun. Plants, fruits and vegetables come from a seed. The seed is put in the ground, it germinates and grows using the power from the sun. The power of the sun gives the plant its life force. When you eat the food, your body converts this suns energy to its own life sustaining healing energy. You metabolism breaks down the food and produces its own energy. Contrary to what most people think, energy does not come from a battery or a cord plugged in to the wall. Our devices use that form of energy but what kind of energy do we use? We are not plugged into the wall nor do we have a charging battery connection. What form of energy powers our body’s life force and where does that energy come from? Energy is movement, it is the power to move, and to act. It is the capacity for work. Energy is change, ebb and flow, flux, frequency, heat, life, movement, pulse, rhythm, vibration…without these things you are inanimate matter in other words dead. You have assumed room temperature. There no longer is a pulse there is no longer life and there is no longer energy. Your body gets its energy the food you eat, which is converted into a thermal electromagnetic energy called ATP. More of that later. There isn’t an ancient healer, biofeedback, chemical, doctor, drug, healing medicine, hypnosis, mysticism, philosophy, progression, psychoanalysis, psychotherapy, radiation, regression, surgery, or talking that can heal any one of anything! Why? Because it is only the body that has the power to heal. Only the individual body can heal. Others have the power to bring about conditions within the body that will help the body to heal but they can’t heal the body. Only the body can do what it was designed by God to do, that is, heal itself! Your body is the source of healing energy. Healing with energy derived from cells, molecules and tissues. Free Radical Damage cause inflammation and antioxidants from raw food fights Free Radicals. I have already covered Free Radical damage and the role of antioxidants. Free Radicals create a disease state. 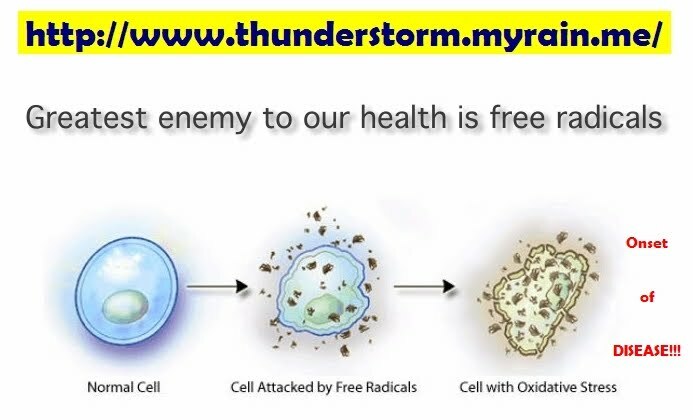 Free radicals destroy oxygen and without oxygen the mitochondria cannot generate ATP energy and the cell dies. For future reference, the mitochondria uses what is called the Krebs cycle to generate this ATP energy, More of that later. This energy production is part of cellular respiration. We can’t change it but we can harm it. Eating foods that create free radicals damage the cells and its ability to create energy this loss of energy is called fatigue. Fixing your diet and addressing the nutrient depletion caused by chronic medication use may be all you need to do to start living with more energy, vitality, and vibrant health. I’ve seen these simple changes work wonders. We were born into this world with everything we need to live strong, healthy, and vibrantly lives. Your body comes with the ability to heal. This healing energy is alive and well if it hasn’t been dumbed down or cluttered with toxins and enzyme inhibiting chemicals. God created powerful remedies for stressful seasons in natural foods and herbs that destroy dangerous bacteria, viruses, and fungi. We are made up of millions and billions of cells. A cell is exceedingly complex; they are biochemically sophisticated “beings” capable of creating all the chemistry and components of life. The cell is made up of 100 billion atoms and many millions of working parts. All of this is crammed into an invisible little speck as small as 1/100th the size of the head of a pin. 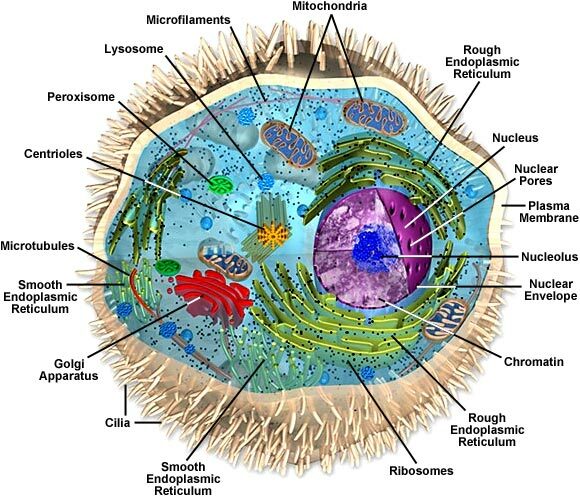 Without going into great detail the cell is what keeps our life form going and is the center of it all. 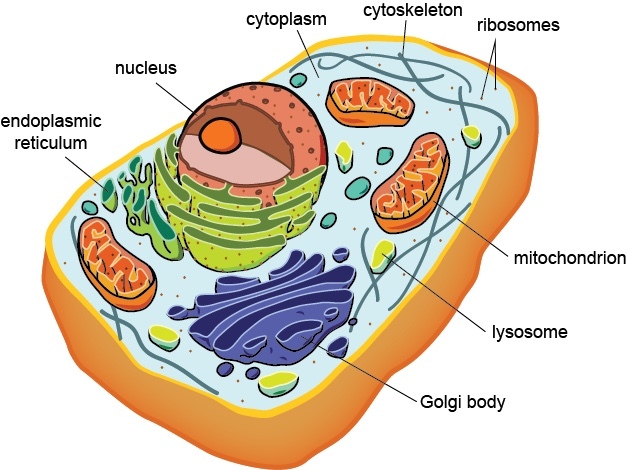 Organelles – Smaller elements of the cell viewable under a microscope. These elements are called organelles. 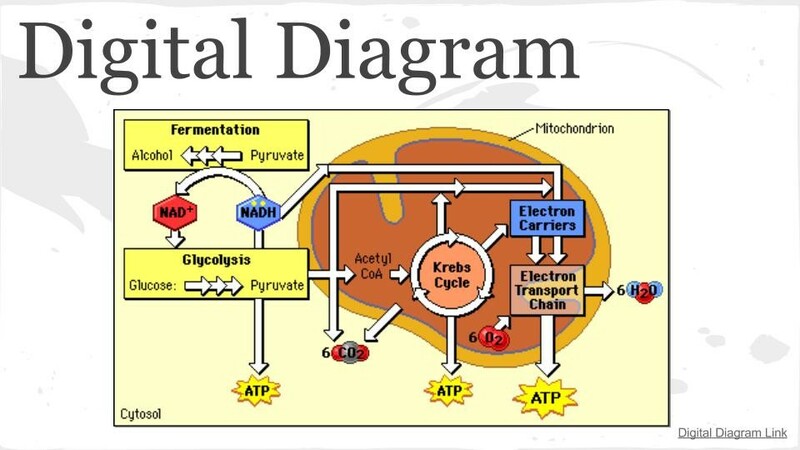 ATP, Krebs cycle and the mitochondria. I first heard the term mitochondria from an inspirational Video I saw when I first got started. The video was from Dr. Terry Wahls. I have written about Dr Wahls and her use of raw food to recover from the incurable, progressive and crippling disease of MS. I used her video, book called Minding My Mitochondria and her love of raw food including kale as a resource. I realized, I too, felt extreme fatigue due to loss of power to my cells. Once I started eating nutritious food, I could feel the slow return of my lost energy. The mitochondria is the power factory of the cell. Not the DNA or nucleus but the mitochondria generates life’s energy. The mitochondria converts the nutrition you eat and oxygen you breath to energy which is called ATP (adenosine triphosphate.). Muscle cells need large amounts of ATP for movement. The mitochondria is also responsible for both metabolizing and detoxing of the cell. Now to make things even more complicated this process of making energy is called the Kreps cycle. This process is complex and it is way above my pay grade to even attempt a description or even really understand how it works, except to point it out as another marvel of the human body. 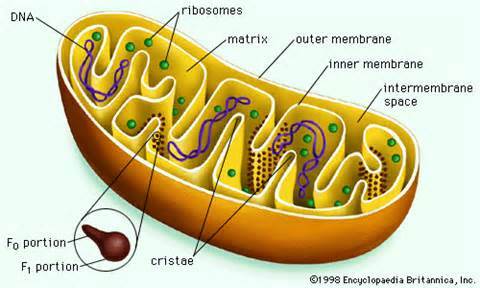 There are several mitochondria within each human cell. The mitochondria generate ATP energy using what is called the Kreps Cycle. I dare say few really know how this cycle actually works but it does work and it creates life-giving energy. The Krebs cycle is the chemical reaction within the mitochondria. Without ATP you don’t have energy. This process is automatic and part of automatic nervous system. Your brain has nothing to say about how the Krebs cycle works. This process is part of cellular respiration. We can’t change it but we can harm it. Eating foods that create free radicals damage the cells and loss of energy – fatigue results. Can you imagine the damage free radicals do to such a complex process? I don’t think the cell will have very much energy. Just for your information in the Krebs cycle four ATP molecules are generated along with six NADH (niacinaminde adenosine dinucleotide) and two FADH (flavin adenosine dinucleotide) molecules. Free radicals and oxidization interfere with this process and cause illness or inflammation. You also require B vitamins, other minerals, antioxidants, and co-enzyme Q in sufficient amounts. Without enough of any of these important fuel-generators, your mitochondria begin to malfunction, leading to cell malfunction, leading to organ malfunction. This often leads to chronic disease, and chronic fatigue may be one of the first signs that you are in danger of entering chronic disease territory. Class is over and it is movie time. 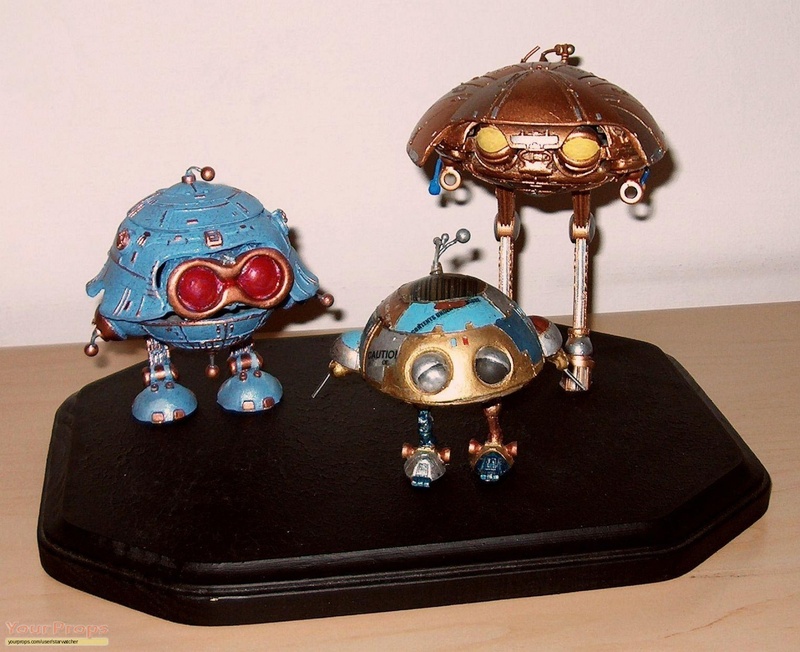 I may be a little silly but as I started to write this article I kept thinking of a very good movie called Batteries Not Included. This was years ago 1987 to be exact. It was directed by Steven Spielberg and had a husband and wife acting team I love (Hume Cronyn and Jessica Tandy). I keep thinking of myself as the run down apartment building the “Fix-its” were fixing. The “Fix-its” make me think of my cells, mitochondria and krebs cycle working while I slept. For those of you who didn’t see the movie, an elderly couple (Cronyn and Tandy) ran an run-downed apartment building and cafe in a run-down part of town. A property developer set his sights on acquiring the building and developing the land for a good price (zero) and attempts to force the couple to sell. The developer doesn’t offer much but a gang of thugs to bribe the couple and have their tenants move out. It is a typical good guy bad guy type of movie. The couple are resolved to fight but look a little overpowered after three of their tenants move out. All the sudden out of the blue in the middle of the night the apartment building is visited by alien life forms. Three hand sized flying machines appear. They look like robots but are very much alive. They descend and begin to repair many items that were broken. These machines are nocturnal and do their work in the dark of night and all you can see is their little head lights while they wiz around fixing things. They repair things in a matter of seconds and when they are done it is brand new. They move into the apartment building and reside on the roof. They even begin to raise a family. They are called “The Fix-Its” by the other residents of the building. The battle with the developer gets very heated and eventually the entire block and the apartment building is destroyed. That’s when “The Fix-its” with their new family take over and rebuilt the building from scratch. The next morning the entire build has been seamlessly restored to brand new condition, forever ending the developers demolition plans. The movie skips to the future where the building is surrounded by skyscrapers but the cafe does a roaring business from the new employment in the area. This may not be the same as the living cell, Krebs cycle or the mitochondria but I hope you have got my point. Life is special and precious – break the hold you addicted brain has on you – you may feel great with its sugar high but you pay a very dear price for it. Break the addiction and smell and feel life’s living energy. Minding My Mitochondria Terry L. Wahls, M.D. Thank you for another great article..Keep up your good work..With gratitude and blessings to you!